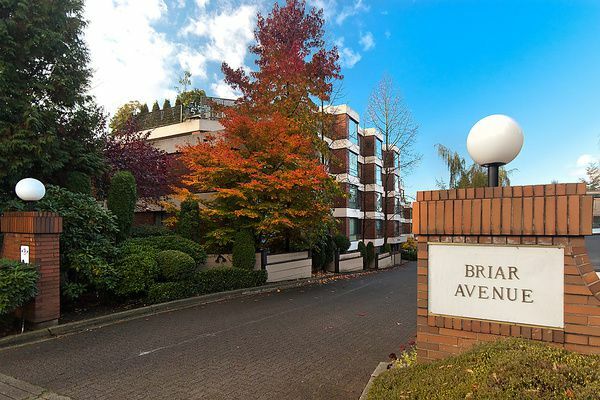 Arbutus Village condo!Generous space suits house sized furniture. Spacious & bright SW corner unit in this well maintained concrete building.Two bedrooms, 2 baths with a den & solarium. Eating area in the kitchen with new counters, sink &faucets, dishwasher and microwave, newer paint and carpets. Lovely green, treed outlooks, 2 underground parking and a storage locker.